Many of us have probably had “the talk.” No, not the birds and the bees, the talk on how to bring women and people of color into the overwhelmingly white, male world of the art music history survey class that is the bedrock of so many music curriculums in the United States. * During breaks between sessions at conferences, lunches with colleagues, departmental meetings, and over social media, what to do about survey has become a hot topic of conversation at least for the authors of this essay. Some departments have chosen to revamp their curriculums to displace the primacy of the art music history survey, while others have found ways to undermine a strictly chronological approach that includes spaces for the study of other repertoires, or traditionally underserved areas of study. Many people who teach music history courses, however, do not have the option to completely overhaul the musicology curriculum or even an individual course. Graduate students, contingent, or pre-tenured faculty often have little power to make wholesale changes to courses, and even people with tenure have to build coalitions within their departments to support meaningful curricular alterations which is not always possible. The lack of readily accessible information on (or even research about) women and people of color in art music from the medieval period forward, as well as an already content-heavy curriculum are additional barriers to change. Clearly there are substantial challenges to making even the smallest modification to the syllabus or lectures that are generally within the purview of even the most junior instructors. But we were surprised to learn that, until recently, there has been very little scholarly secondary literature that considers ways to diversify the western art music curriculum. Many of the sources that we found generally address genre diversity and defend adding new repertoires such as jazz or popular music to music history survey courses. While this approach might lead to the introduction of more people of color and women into the course, it does nothing to introduce these underrepresented communities into the art music survey. Instead, this approach merely confirms the narrative that art music is for white men only. People of color, the assumption remains, create “ethnic music,” not western art music, and are outsiders to the world of classical music. 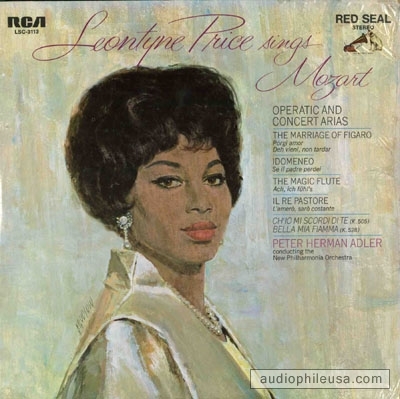 Leontyne Price Sings Mozart (RCA Records, 1969). Many musicologists of course understand that this is not true, and that there is a long history of people of color in classical music and of women assuming atypical gendered roles in music (conducting, composing, etc.). But how should we present this information in the classroom? How do we overcome the difficulties that stand in the way of diversifying our music history pedagogy? One challenge facing the music history teacher, for example, concerns our archival records: there are gaps in our knowledge about the activities of people of color and women in many areas of music history that make it hard to consistently integrate them into the curriculum. And there is also the question of priorities in making our musical selections: time spent on one topic necessarily means another area must be trimmed. In a course already packed with content, it is daunting to consider adding anything else. Perhaps most vexingly, how can instructors avoid tokenism when making small changes to the curriculum? Yet there are considerable rewards if we can overcome these challenges. The suggestions we propose are worth employing if they make our students play their part in making our world more beautiful, equitable, and just. Our classes can become places where we can effectively expose classism, racism, and sexism even when issues of identity are not the primary topic of conversation. We can support the students of color and women in our institutions who are looking for role models as they embark on the journey to understand, compose, and perform art music. For art music to grow into a richer, more inclusive space, we must start in our classrooms by showing ourselves, our colleagues, and our students that classical music has never been the preserve of white cisgender men only, and it does not have to continue to be the place of privilege and whiteness that it too often is. Drawing from our own conversations with colleagues and students, we have devised a list of practices that we have implemented in our courses that immediately address the topic of racial and gender diversity in the classroom. The tips that we provide below are designed to be easy fixes that can be incorporated into any curriculum, to take advantage of widely available resources, and that do not to require a significant disruption or re-conceptualization of the traditional chronological approach to teaching art music. 1. Be transparent. At the beginning of your class, state the obvious: the canon of western art music is dominated by European male composers. By acknowledging it, you also show your students that you plan to explore moments of the canon’s construction. One way to offer transparency is to point out to your students that you will be using the pronoun, “he,” frequently in class because systemic conditions favored men as composers and performers of western art music. Women were frequently denied access to musical training and elite cultural networks. Similarly, when teaching about the history of classical music in America, make sure to specify if the people in the audience or the people involved in the production of music were white or black Americans. In being explicit about this, you make students aware of the ways in which racism functioned in histories of classical music in America. By offering these explanations to students, we make transparent that assumed racial or gender norms were actually historical processes. In making these social and cultural conditions of the past explicit to students, you encourage them to reflect on their own contemporary moment. Many often come to the realization on their own that their presences in the classroom are not serendipitous, either. Social factors determine our current academic makeup. In short: honesty is the best policy. And studies show that openly addressing the topic of race and gender diversity is better for students’ development than ignoring these issues or pretending they don’t exist. 2. Consider the concept vs. the composer. When considering the course units you plan to teach, figure out if the topic of the day is absolutely about a composer and his musical contributions, or if the theme for that unit is about a concept -- sonata form, da capo arias, nineteenth-century art song, ostinato bass, impressionism, etc. If it’s the latter, you might be simply using a composer as a vehicle to explain that idea. If the concept is actually the important topic, then consider if a musical work by a woman or a person of color would be an equally good choice as an example. In the past, Kristen used to assign several compositions by Monteverdi to show the development of the Italian repertoire, but now she includes a madrigal by Barbara Strozzi. More focused survey courses, such as classes that cover one period or one country, could provide many opportunities to switch out canonic composers for music from a marginalized community. For instance, in an American music course, you could use one of Florence Price’s pieces to explore mid-century nationalism rather than (or in addition to) music by Aaron Copland. The website Music Theory Examples by Women provides scores, music, and recordings by women composers for all the basic musical forms and other fundamental music theory concepts. Anthologies of music by women or people of color are immensely helpful in providing illustrations that you could easily incorporate into your classes. Chineke! 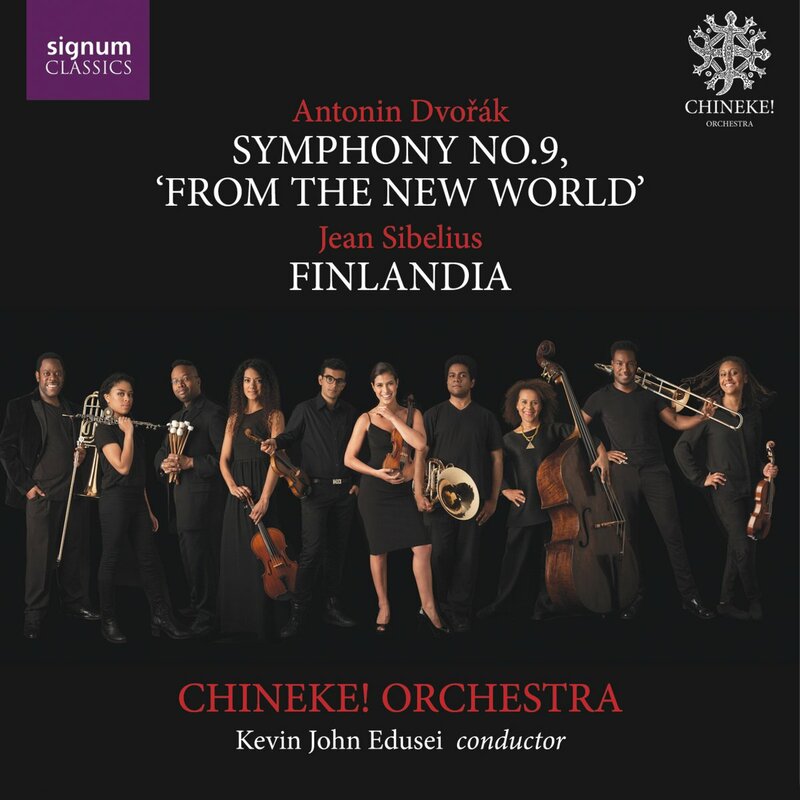 Orchestra Plays Dvorak and Sibelius (Signum Classics, 2017). 3. Play canonical composers - but use a recording featuring a musician of color or a woman musician. You should of course feel free to keep playing clips of canonical composers. But you can empower your students of color and women students by using recordings that showcase minority talent. In addition to being a wonderful singer of Verdi, Leontyne Price loved singing Mozart. Do you plan to play Handel’s “Piangero le sorte mia” in class? Consider using Kiri Te Kanawa, a Maori singer from New Zealand. When teaching Schubert’s “Death and the Maiden,” Kira likes to play African American contralto Marian Anderson’s iconic rendition of the lied, which made her a celebrity in 1930s Austria. By showing a clip featuring a musician of color, you can suggest to students that people of many different backgrounds have historically been a part of classical music in spite of the discrimination they faced for performing western art music. Similarly, show women in atypical gender professions in music - women conducting orchestras or women on instruments that we often assume to be “masculine” (cello, percussion, trumpet, etc.). Normalize, in other words, the presence of women and people of color in classical music through your own choice of musical excerpts. 4. Let diverse voices speak. Use primary source readings where performers, composers, or critics address the issue of race and/or gender in classical music (Dvorak, Amy Beach, etc.). How did Clara Schumann understand the changing world of virtuosic piano performance in the mid-nineteenth century? How did composer Nadia Boulanger see her role in shaping young composers’ musical visions in the twentieth century? What do contemporary musicians such as Afro-Latina composer Tania León or Pulitzer-prize winner Caroline Shaw say defines their own musical aesthetics today? Another approach to including more diverse voices into your assigned readings is to frame the study of a canonical composer from the point of view of an underrepresented minority. For instance, when discussing Dvorak’s call for American composers to create music that incorporated African American and Native American traditions, include documents that reflect the point of view of late nineteenth-century black critics. 5. Think local. If you teach at a conservatory or large school of music, email your school archivist or librarian and ask questions, such as the following: who were some of the first students of color to attend your institution? Who was the first woman to graduate with a degree in music? What happened to them? Integrate these biographies into a unit on the rise of classical music in America or your geographic area. For those of you teaching in a small or relatively new program or with students who won’t be pursuing music professionally, think about highlighting a local musical institution that is trying to diversify its repertoire or showcasing a local composer or performer who is from an underrepresented group. Offer extra credit for attending concerts that include repertoire or performers from marginalized communities. Speaking openly and honestly about your own area’s history and the ways that local musicians are (or are not) thinking about diversity will encourage your students to see the larger structures at work that have determined different people’s involvement in classical music. 6. Think of the present. Build specific structures into your curriculum that will yearly remind you to include contemporary conversations on diversity in classical music. Follow along with an annual musical competition or award ceremony every year, such as the Pulitzer Prize, the Van Cliburn Competition, the Sphinx Competition for black and latinx instrumentalists, or the International Alliance for Women in Music’s annual Search for New Music by Women Composers. Who participates in these events and how are they portrayed in the media? For a homework assignment one evening, ask students to find five album covers of different contemporary artists (both women and men, both white and non-white). How are these musicians being marketed? Might there be racial or gendered biases in their marketing? Each of these suggestions on teaching diversity within the western canon are tried and true methods from our own courses or from colleagues and peers who have shared them with us. They help to cultivate classroom conversations about the long-standing social and historical processes that have created our world of classical music today, and they correct assumptions (even well-meaning ones) that students might have about classical music’s composers, performers, and listeners. In our experience teaching at a variety of institutions, students have been warmly receptive to expanding the narratives of music history. Many are excited to learn that art music is not as much the repertoire of privilege as they thought it was, and are surprised to discover that the humanistic issues they feel passionately about are applicable to music courses. 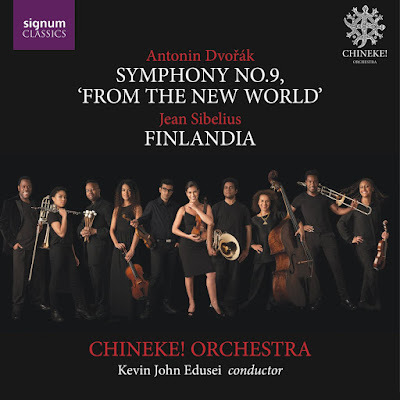 Although the terrain of classical music’s past for many marginalized peoples may have been uneven, the promising message that we wish to share is that it is not too late to change things as they are right now. It is not too late to try to create a more rich and inclusive future, one that is empowering to the many, and not just the few. * We acknowledge that one short blog post cannot do justice to every form of exclusion. Instead we will focus this essay on methods we’ve used to bring cisgender women and people of color into our own courses on classical music because those are our areas of research. We believe that many of our suggestions can also be re-directed to address disability, class, sexuality, and other forms of marginalization. Kira Thurman is an assistant professor of History and Germanic Languages and Literatures at the University of Michigan. 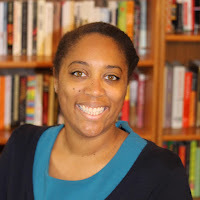 Her research, which has appeared in the Journal of the American Musicological Society (JAMS), Opera Quarterly, German Studies Review, and the Journal of World History, examines the history of African American classical musicians in Europe. She is currently writing her first book, which is called Singing like Germans: Black Musicians in the Land of Bach, Beethoven, and Brahms. Kristen M. Turner has taught music history courses at a variety of institutions in the Raleigh, North Carolina area for the last twenty-five years. She is currently a lecturer in the music department at North Carolina State University. 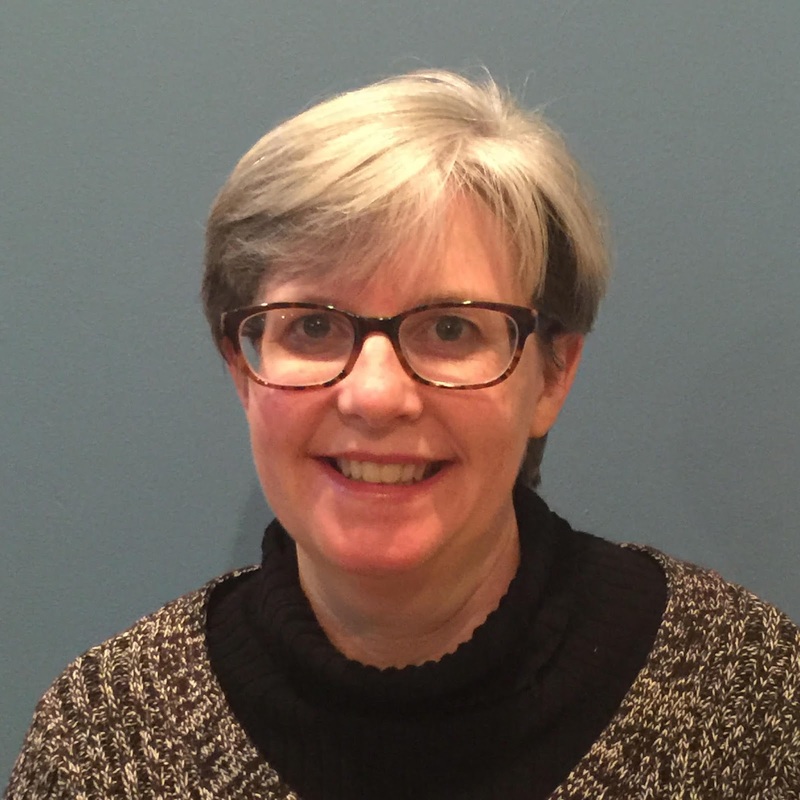 Her research centers on issues of race, class, and gender in opera and popular musical theater in the United States at the turn of the twentieth century. Her work has appeared in the Journal of the Society for American Music and the Journal of Musicological Research. These are wonderful suggestions. I'd like to contribute a specific example that I happen to know about--one that I find very effective. The great African-American tenor Roland Hayes was the first black performer to appear at Boston's Symphony Hall. One of his teachers, about 1920, was Georg Henschel, the BSO's first conductor, himself a singer and a personal friend of Brahms. Following his studies with Henschel, in England, Hayes proposed to give a Lieder recital in the Beethoven-Saal in Berlin. There was a ruckus at the thought that a black singer would attempt the great lyrical works of German composers in the hall bearing the name of the greatest German composer of all. The place was packed, but the mood tended toward turning ugly. He entered with his pianist, and stood quietly in the bend of the piano as catcalls showered down on him. He made no movement, said nothing, until the energy of hatred dissipated because there was nothing to keep it going. Then he began with Schubert's "Du bist die Ruh," a song calling for extraordinary legato and breath control. At its end, there was dead silence and then the audience broke out in cheers. The evening was a triumph. I learned about this sometime in the 1990s, when the BSO planned a program in commemoration of Hayes, including a number of works that he had performed with the BSO and a world premiere commissioned from George Walker for the occasion. A friend, the Dutch-born pianist Henny Bordwin, had played the piano for voice lessons that Hayes gave in his last years. She told me that her father visited her during that period, and when he heard she was "going to play for Mr. Hayes," the father asked, "Is he a small black man?" When assured that he was, he described that Berlin recital, which he had attended as a student. He assured Henny that Roland Hayes's demeanor, and this art, prevented a race riot that night. (Happily, he made a recording of "Du bist die Ruh." It was rather late in life, but his wonderful legato and breath control are still evident. It is available on a Smithsonian Collection Recording RD 041. Thank you so much for sharing that story! I write about that exact same scene (Hayes in Berlin) in my book. I bet it makes for a great teaching moment! My name is Thembela Vokwana, teach music history and ethnomusicology in South Africa. Have a deep love for choral and opera. It seems your work grapples or overlaps with some issues I am thinking through and grappling with. Would like to engage you more and definitely read your work. Would be keen to exchange email contact and correspondence. Would it be fine if I inbox my contacts on fb? "The suggestions we propose are worth employing if they make our students play their part in making our world more beautiful, equitable, and just. Our classes can become places where we can effectively expose classism, racism, and sexism even when issues of identity are not the primary topic of conversation." Gives me the creepy feeling that schools of music are being turned into Maoist re-education camps. Making students "play their part" in an oppressive ideology that makes equity and "social justice" the driving principles in the curriculum is a profoundly mistaken goal. Mind you, if all you want is a School of Resentment, this is an excellent strategy. How would you suggest then, approaching these issues? Students are very aware that these issues exist and so I would be interested in what approach you might suggest. The basic problem with this approach is that it violates a fundamental principle of education: you don't use students as mere instruments of your ideology. These "issues" only exist because of years of indoctrination in identity politics. The really awful dilemma faced by musicologists and music educators generally is that post-modern ideology is viciously racist and sexist in that it is fundamentally biased against white male Europeans. Unfortunately, as Frank Zappa pointed out, they wrote nearly all the good music. So we find the really disturbing spectacle of music educators, in order to be faithful to the current ideology, having to demean and diminish the work of most of the great creators of Western music. The solution is pretty simple, though. Toss post-modern ideology on the ash-heap where it belongs. Ah -- White male Europeans wrote "nearly all the good music." I am indeed bored (and do not doubt that one could go on and on: this is the epitome of what the kids call mansplaining—and it's not what I earned a Ph.D. to do). Such insistence on the greatness of whiteness is the opposite of interesting. One function of looking at history through different lenses (race, class, gender, geography, embodiment, trade, etc.) is to make possible the construction of a future that is different from the past. I want to do this. I'm pretty sure that the desire for a future that simply recapitulates the past is actually evil. The endgame of hegemonic misogyny and white supremacist beliefs (which people have suffered under for hundreds of years) is violence, genocide, and catastrophic wealth disparity. This has been made abundantly clear in modern rightist politics. That's not Homer's fault, nor Stravinsky's, but if we keep paying fealty to the past without critique of this, then we are failing as teachers and scholars. And if we can't bear a world without the full dominance of our precious white male art forms (the symphony, for example), then that demonstrates a lack of imagination, at best. Epic poetry wasn't invented by Homer you racist dilletante. Homer wasn't even one person, and dactylic hexamter developed out of the orally transmitted poetic tradition of the Indo-Europeans, who came from Asia. Thanks so much for these! I really love the idea of the assignment with album covers---it will help my students think about how they present themselves to their audiences and how that shapes perceptions of their performance. Thanks Naomi, that was Kira's assignment. I'm going to try it too. Thank you both for this excellent work! It will be invaluable as I develop my syllabi for the fall. And thanks to the folks at Musicology Now! I have bookmarked so much of this summer's posts for use in teaching and for further reading. A wonderful place to visit. Bryan Townsend, I regularly read your musicology blog Music Salon, and I must say, just to take a recent example, your articles on Stravinsky and the influence of his teacher, Nicolai Rimsky-Korsakov, are offensive to me because I have never been a member of the Russian aristocracy. How alienating to read about such privileged men who speak a different language than do I, who enjoyed wealth I'll never know and who had skills and knowledge I will never have! Perhaps you could be more sensitive and less biased if only you could cite examples of American electricians (who I can identify with because I am one) as performers of this aristocratic Czarist music that obviously symbolizes (and whitewashes) everything exploitative and privileged and anti-democratic in the evil people who made such beautiful music while my ancestors were poor and illiterate! If you think I'm being ridiculous, then study this Musicology Now website and, after reading the 4-part series on the "Wonder Woman" movie soundtrack, and after reading 4-part series analyzing the soundtrack to the "Guardians of the Galaxy Volume 2" movie, all of which came after the deep immersion in popular music that informed the article on the history of music in Pepsi Cola commercials....after reading all this, PLUS the this article under which we are now conversing, which righteously encourages music history teachers to select their example performances and artists based on their gender and their so-called race....so don't you see how you, who does NOT do this, are therefore a champion of not just racism and sexism but also czarism and monarchy when you write so praisingly about Russian aristocratic music without finding a way to include women and people of color and American electricians? It is OUTRAGEOUS! When will you show respect for ALL of us and stop focusing on elite music when there is so much trivial-but-immediately "relevant" music-of-the-people that you blatantly ignore! Many thanks to the authors for this post. I'd not seen the "Music Theory Examples by Women," and I've already started switching out examples for my classes. Cheers! Thanks, Kira and Kristen, for a great post full of useful ideas! Joseph Straus' "Music by Women for Study and Analysis" is another great resource for music theory classes, in which the concept v. composer distinction is often very relevant -- it's very helpfully organized by technique (modulation, augmented sixth, etc), and there's something in it for all levels! I love that this post is generating other resources I didn't know about and more suggestions. Thanks everyone.